Yamaha, a company from Japan is well known for its exclusive creation in the arena of motorcycles and latest technology blessed music instruments. It’s recent astonishing creation is an “autonomous motorcycle riding humanoid robot”, popularly known as Motobot. This said product was launched on Tokyo motor show 2015. 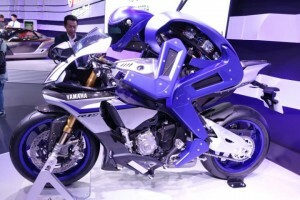 Yamaha Motobot claims to out-compete 9times world’s MotoGP champion Valentino Rossi. In a video message dedicated to Mr. Rossi, the robot challenges him with its recorded electronic voice…”I was created to surpass you”. This humanized robot looks exactly like human, portraying masculine features. It has a metallic head with a pop up blue color; the affixed appendages cast an appearance of arms and legs. 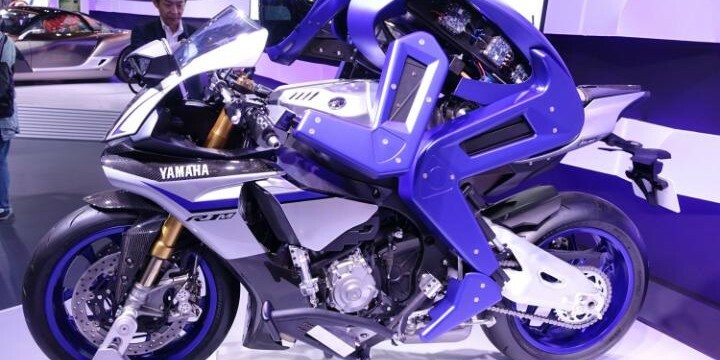 The entire Robotic Setup is mounted over Yamaha’s YZF-R1 motor Cycle with head held low, gearing or taking position like a professional biker. At present it is launched with Six Actuators for the ease of steering along with a stereotype throttle, mandatory front brake, clutch and indispensible gearshift pedal. In the coming years Yamaha aims to modify the model further via affixing latest GPS sensors and the other important artificial intelligence tool which would further accelerate the level of Humanization. According to the Company’s optimistic plan and thought, by 2020 this Motobot will be smart enough like human to frame its own decision regarding which gear to use, brake to press or which track to ride. Thus 2020 will see an overall improved model of Motobot with improve lap times and tracks, covering at least 62miles per hour. 2017 will only see a motobot with 124 miles per hour lap time. This humanized rider with a computerized brain is the shield from unwanted injuries and accident and also strikes out heart breaking life loss. It can be employed in various security issues by the defense and higher authorities. The detail of its work plan will be drafted within some time in near future, when it is completely fit for covering gallons of miles within fraction of second. Yamaha with its decade old expertise and experience is creating revolution in the domain of latest technology kissed robotic architecture. Moreover its motorcycles are also evolving with time. Yamaha’s latest exclusive collection: Yamaha’s motobot is specifically crafted to meet various high end industrial demands. This hi-tech device is still under surveillance and requires further modification, for better stand out results. You can right way have a look at this wonder on Tokyo’s motor show up to 8th of November 2015.